Those from the Indian subcontinent will be able to relate more to my early experience with the Quran. A teacher is assigned to us, usually an imam of the local mosque, who teaches us to read Arabic and helps us complete the recitation of the whole Quran once. After three exasperatingly long years of sluggish efforts on my part (of which my mom still reminds me every now and then), I finally finished the recitation of Quran. My kind (and very perseverant) teacher bought me a copy of the translation of the Quran. I tried to read it by myself several times, but I could make neither heads nor tails of it. Finally, I gave up, until a few years ago when Allah (swt) opened wide the gates of His mercy and gave me access to this sacred knowledge. Here are – what I hope – some fresh ideas based on my own sweet journey that may help you build a stronger bond with the Quran. 1. Learn some basic Quranic Arabic. Allah (swt) calls the Quran “guidance” (2:2), and what use is guidance if we don’t understand the language it’s written in? To me, it’s like reading a road sign in Chinese or Eskimo Inuit. You don’t have to become a scholar of Arabic or even go through a rigorous academic course (although you’ll probably want to do so once you taste the joy of it). Just learn enough to be able to catch the gist of what the verses are saying to you and to follow their explanations by scholars and teachers. Take a shortcut by all means. Learn the basics of the language in the most concise and effective way you can find. 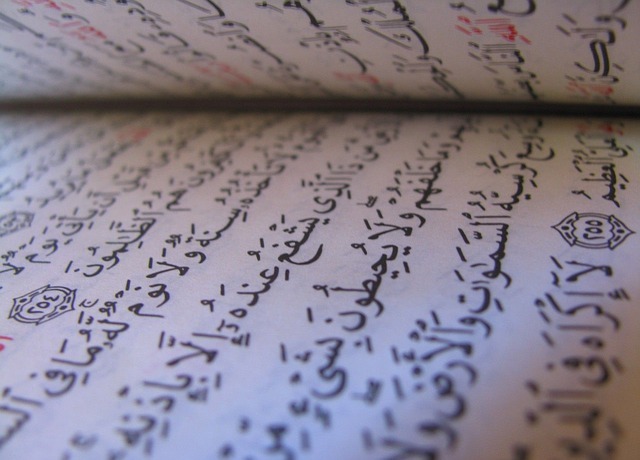 Keep your initial target in mind – understanding the Quran and not the Arabic newspaper. The two most concise and effective programmes I have come across in my Arabic study are the Understand Quran Academy’s courses and a book called Arabic Through the Quran by Alan Jones. Can you imagine the incredible ecstasy the first time you actually understand what you’re reciting? Be like the child who’s learning to walk by tumbling about – he falls down a hundred times and picks himself up a hundred and one times. Then finally one day, when he’s able to tread a few steps unsupported, imagine his immense joy! Now he’s able to walk quite briskly while holding his father’s hand. Regular recitation of the Quran will increase your fluency and you’ll enjoy it more and more. You can only make real friends by spending regular quality time with them. Assuming that you can already read the Quran, however much you stumble with it, make it a habit to read it daily. Once the habit is firmly established, you’ll find it as much a matter of course as having your breakfast. Choose a quiet, distraction-free environment. Keep the Quran within hand’s reach at the required time. Start small – read regularly, even if it is only one verse. Do it right before or after another well-established habit, for instance fajr prayer or lunch. Work hard on it incessantly for at least 66 days to make the habit automatic. Recommended: Points 1 and 2 above. As a novice, you’ll need the guidance of fourteen hundred years’ worth of scholarly work on the Quran to really get into its depth. You’re like the child who’s learning to walk. Now that you have learned to tumble about reading the Quran and understanding Arabic, it’s time to hold tight to the support of past scholars to make your journey smooth and not go astray. Choose a soorah (chapter) or a passage which interests you at the moment, such as the one that you’ve recently memorized, or that moved your heart in your daily recitation, or that holds some particular relevance to your current situation in life. Find a type of tafseer that suits you. For me, it’s the lectures of Ustadh Nouman Ali Khan. Accessorize your selected tafseer with your copy of the Quran, your chosen translation, a word-by word Quran, and a dictionary of Quranic words. Keep these open at relevant pages and take your time to enjoy your journey to the depths of the Quran and discover its resonance within your own heart. Once you really get the hang of it, you’ll often find yourself perched at the edge of your chair, your mouth open wide, and exclaiming “Subhan Allah!” from the sheer wonder of what you behold. 4. Make Quran a mood booster. Prerequisites: Points 1 and 2 above. Once you’ve done this enough times, your subconscious will be convinced that it works and will automatically look for solace in the Quran whenever you need it. Tabassum M is a freelance writer and online ‘Alimiyyah student at al-Salam Institute, UK. Find more at tabassum.contently.com.